What is a Structural Rivet? Structural Rivets are prime choices for heavy-duty applications. They provide high strength, wide grip range, as well as an exceptional clamp force. They have a distinctive mechanical lock function that delivers 100% mandrel retention. Due to the fact that the mandrel is retained, structural rivets have an even greater shear strength versus semi-structural or specialty rivets. Goebel offers the M-LOCK, GO-LOCK, H-LOCK, and PREMIUM. The table below provides an overview of the different material compositions and references our catalog pages for detailed product information. What are the Advantages of using Structural Rivets? The M-LOCK is used in heavy-duty applications and requires a special nose piece. 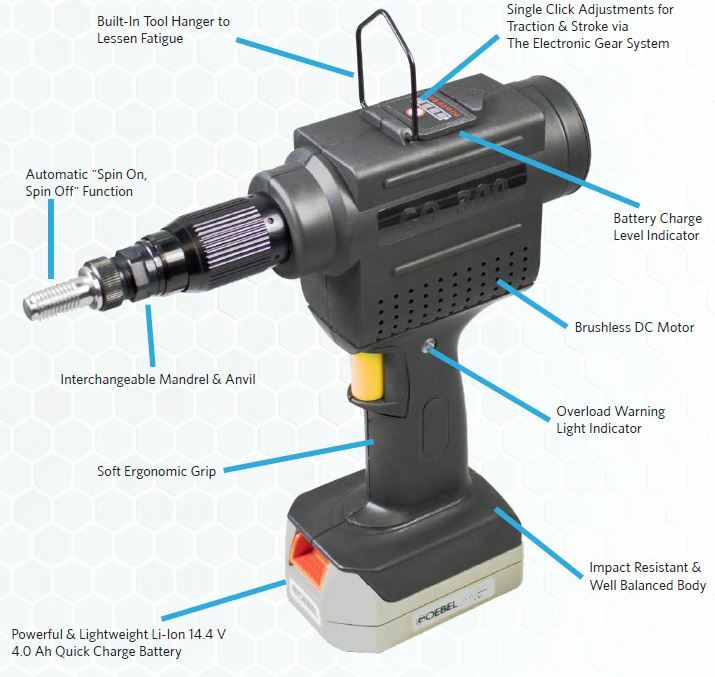 It has multi-grip capability, a visible lock, the mandrel mechanically locks into the body, and it performs extraordinarily well under vibration. The GO-LOCK also provides a fully sealed joint that is vibration resistant. Apart from its high shear and tensile values, it also has a great hole fill capacity, compensating for irregular and oversized drill holes. The H-LOCK and PREMIUM blind rivets have a smaller grip range compared to the M-LOCK and GO-LOCK but offer a larger blind side bearing area, spreading the load and preventing material deformation and cracks when working with brittle materials. Areas of Application: Trains, truck & trailer, commercial vehicles, warehouse racking, and more. Generally speaking, Structural Rivets are the preferred fastening solution for heavy-duty applications. Check out 40 – 51 of our product catalog for an overview of the various styles and grip ranges. 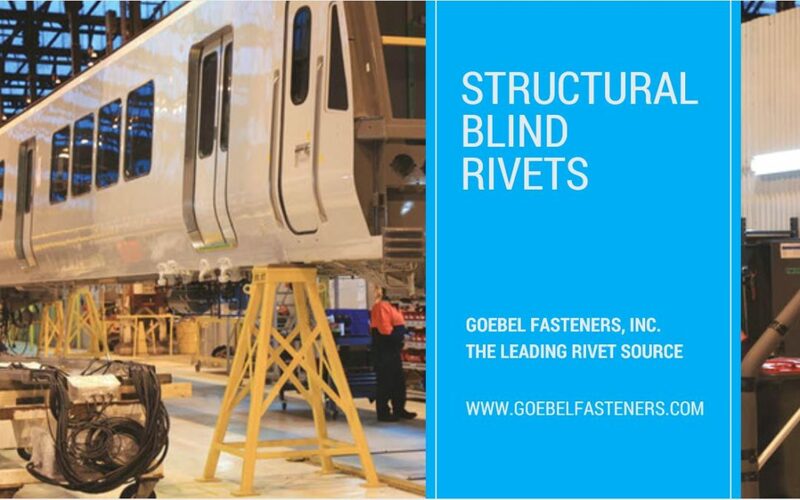 Make sure to follow us on Twitter and LinkedIn to stay up to date on the latest developments at Goebel Fasteners.